Let’s face it, professional grooming can be expensive. It’s one of those things in life that are both a necessity and a luxury. With the proper tools, education, and time…you can groom your dog at home and still maintain a cute clip. You will need the following items for a positive grooming experience. An elevated surface. Grooming on the ground is both back breaking and tricky. Putting your dog on a picnic table or even the washer and dryer is more desirable. You will need to purchase a grooming arm and grooming loop to hold your pet in one place. For smaller breeds, there are miniature grooming tables that you can put on top of your kitchen table. For the larger pets, attaching a canine hitch to a stud in your garage is recommended for a faster and safer grooming experience. Dremel. Every groomer I know resorts to using a Dremel that you can buy at your local hardware store. They are safer and easier to use than any dog nail clipper. Comb and a brush. Buying professional grade brushes and combs is highly recommended because they are the most effective in removing dirt, debris, and those nasty tangles, known as mats. 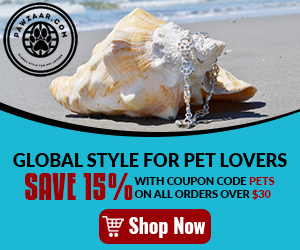 Pet shampoo customized to your dog’s skin conditions and needs. Clippers. Pet groomers debate the best clippers on the market constantly! For the pet owner who will groom their pet occasionally, invest in a mid-range professional pet grooming clipper. Stay away from a man’s grooming clipper because they are not strong enough to go through a pet’s hair and they will also give an undesirable length! Only select blades that contain an “F” (for finishing) after a number. Any blades that contain an “S” is known as a skip-tooth and should only be used by professionals as this type of blades increases the risk of cutting your pet’s skin. The higher the blade number, the shorter the hair cut will be. For instance, #40 is a surgical blade that vets use to prep for surgery. A #3F blade will leave your pet with a half inch of hair. A #10 blade is always used for sanitary trim, pads of the feet, and in between the eyes. This is a must have blade. If you prefer your pet to have more than an inch of hair, then you will need a #10 blade and clipper combs.